You thought we were done? Ooooooh no. I will milk this cow for what it’s worth. Speaking of which, the deliciously meta ‘war on women’ has been raging on Reddit well and good, until Reddit itself, decided it was time to stop. The main gist of it is that Reddit has given its users ample opportunity to discuss the merits of the game with all its facets, in a civil and rational manner. And the users couldn’t handle it. Of probably the best example of auto-irony I’ve seen in my life where one user started a thread (now deleted, but kept for posterity because the internet does not forget nor forgive) claiming to be a historian and attempting to educate EA on historical accuracy. Predictably, the guy was lying and never went to College. Which as far as I’m concerned is a microcosm of this entire ‘nontroversy’- out of habit I tend to assume that there’s more to someone’s words than only my filtered perception of them. But not in these case, as one redditor writes: these people are parodies of themselves. In the final statement reddit writes: “This issue has been discussed in a million threads but we’ve never been brigaded more than we have in the past months. Admins can only keep up with so much. We’re done wasting our time on this, every point has been made, no you’re not sexists or whatever, but this is just repetitive now.” Now I somewhat disagree with the latter part, in some cases, some of those voices were definitely sexist. Those that weren’t merely parroted and perpetuated sexist stereotypes. In any case, Reddit has left one, last thread to discuss the issue. Which predictably turned from discussing the issue into a giant argument for why people no longer can discuss the issue. In a thread designed to discuss the issue. Meanwhile EA and Dice stand firmly in their commitment. 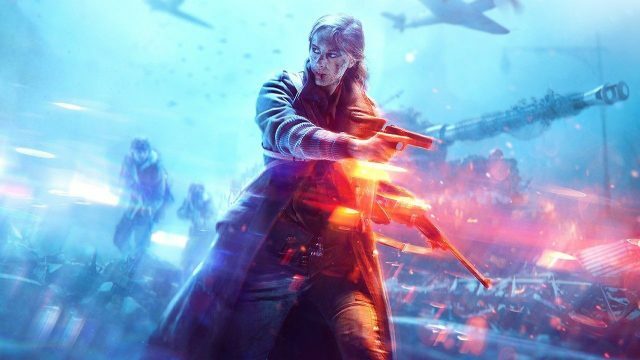 As do I in my knowledge that you WILL play Battlefield V when it comes out. The EA conference is behind us. Experience World War II like you haven't seen it before. Customize your squad, join your friends online to witness the greatest conflict in human history or join the new addition to Battlefield- the Royale mode, and be the last man or woman standing.